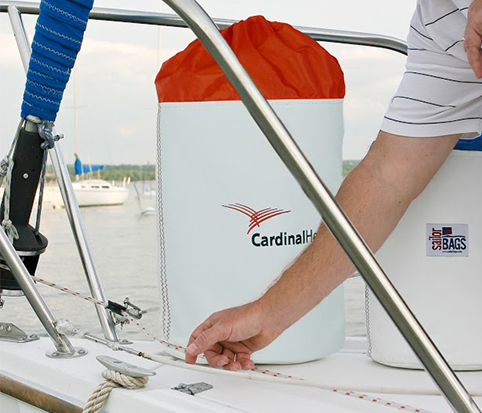 SailorBags aren't just for sailors - they're for customers, employees, suppliers, or anyone else you want to appreciate with something better than a pen or a stress ball. 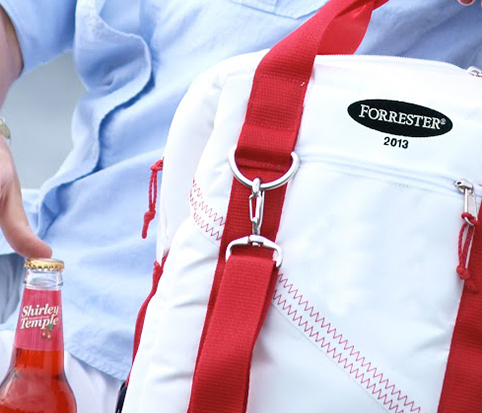 Made from genuine sailcloth and personalized with your logo, a SailorBag is a corporate gift of real value; one they'll appreciate and - unlike those pens and stress balls - use for years as brand ambassadors. 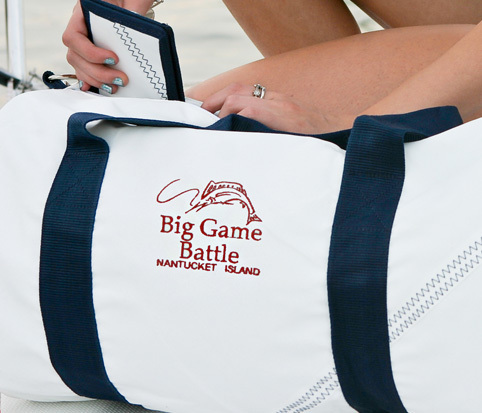 Leading companies and organizations choose SailorBags for achievement recognition, customer appreciation, performance incentives, event/tradeshow promotion, and VIP gifts. Check out our corporate sales website for detailed information and quantity pricing. Contact us for personal service - we'd love to make some custom bags for your business or event. Call 1.800.639.1754 or Contact us today! 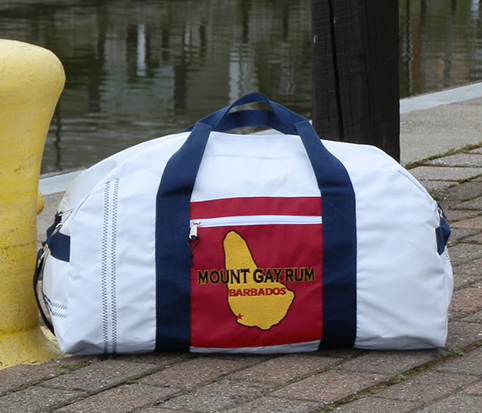 Mount Gay Rum -- a longtime iconic brand in the sailing world -- used these customized SailorBags to reward its highest-performing retailers. 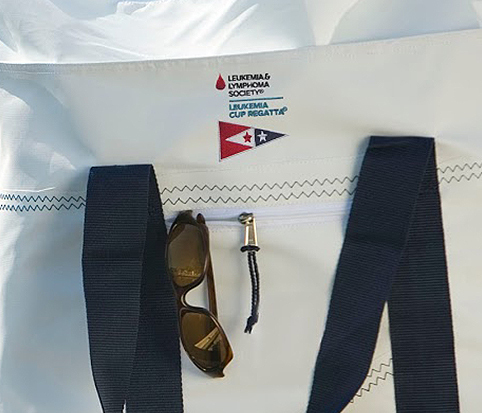 The San Francisco Yacht Club chose SailorBags as VIP gifts for its Leukemia Cup Regatta. We were honored to be a part of this prestigious annual event, supporting such a worthwhile cause. 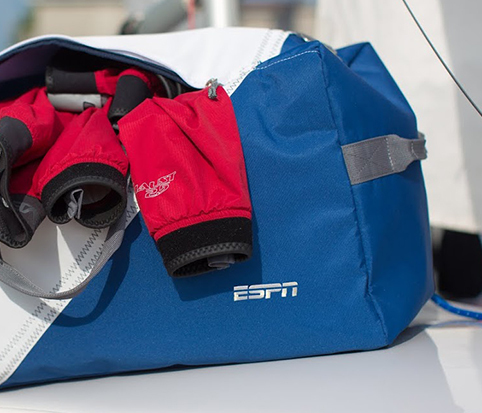 ESPN selected the appropriately sporty TriSail Duffel for its corporate gift-giving. 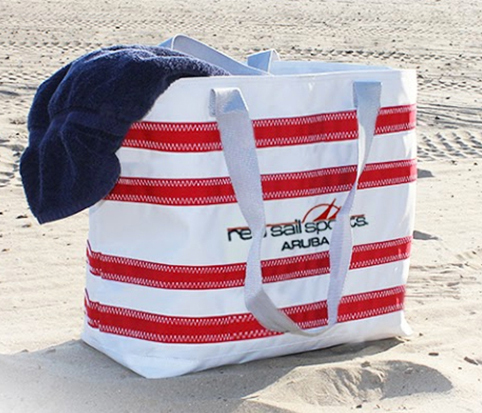 Red Sail Sports Aruba sells an assortment of private label SailorBags in its resort gift shops. 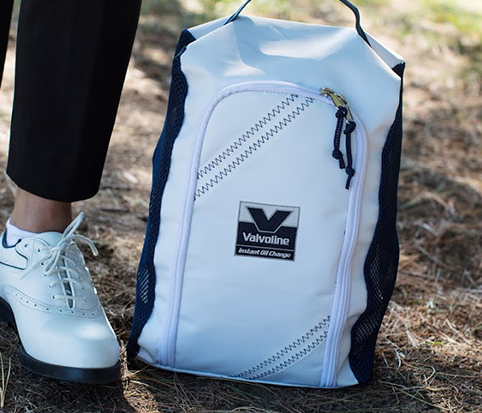 Valvoline chose our shoe bag -- customized with its famous logo -- as the perfect gift for a golf-themed sales conference. Cardinal Health had us customize our Stow Bag for a large medical conference. The bag was filled with snacks and drinks, and placed as welcome gifts in guests' hotel rooms. 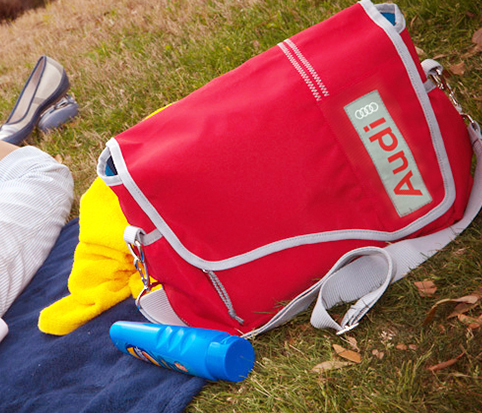 Our Messenger Bag was selected by Audi to be part of an exclusive, private-label accessory collection offered to its discriminating customers. Unique & Made from Real Sailcloth! All Custom Embroidery May Require A Setup Fee.